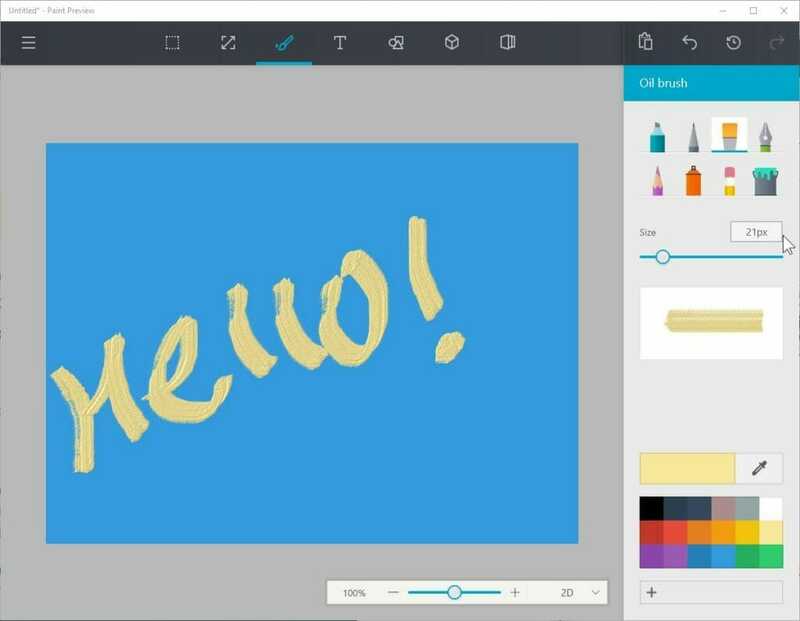 You might have heard about Microsoft’s new Paint app. As we all know, Paint is among the most famous, and classic software programs that there is. There are replacements for it, but the classic Paint isn’t something to just forget about. It has been in Windows since the days of Windows 95 and has served a lot of people. I frequently use it to hide, cut or edit out some things from images or screenshots that I put up on this website. The app currently can reside alongside the original Paint app on your PC, so don’t worry about missing the older one. Eventually, though, it is obvious that Microsoft is going to replace the original app with the new one. You can take a look at the screenshot of the app that I took after installing it on my PC. Looks neat, right? In my five minutes of usage, it looks very stable. Though don’t count on that. Try it yourself. The main features of the new Paint preview app are 3D objects, pen input and various drawing tools like the brushes of various sizes, and tablet support (upcoming). The app can also convert 2D drawings to 3D which seems really cool. One thing that you should keep in mind is that the app is currently in preview mode. Which is a fancy way of saying that it is in beta. Therefore, it is not suitable to be used for something major. Of course, if you want to do something major, use something like Photoshop. But, if you want to use the Paint preview for some serious work, be mindful that it may crash, or have other weird issues still needing to be sorted out. Make sure to make backups of your work and use caution. You can download the Paint preview app from this Mega link. Download the Appx file and open it. The app will install using the new Universal app style installer. Just click on the Install button and wait for a few seconds. Once that is done, you will see a launch button on the installer window. Click on it to launch the Paint preview app. Enjoy!